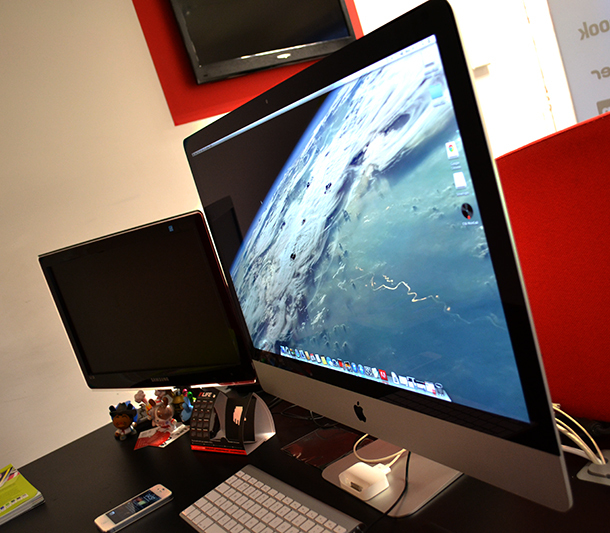 Our designers new toy turned up today after a 2 month waiting list.. shiny new top of the range iMac 27inc! As if it was even possible you can now expect designs coming out of the inLIFE to be even more stunning with it’s true to life colour apple say ‘iMac display is individually colour-calibrated using state-of-the-art spectroradiometers to match colour standards recognised around the world.’ not forgetting the quad core processor and NVIDIA GeForce graphics processors built on the Kepler architecture. Enough to make any Geek weak at the knees.